Car floor mats There are 5 products. Sparco Corsa fabric car mats. 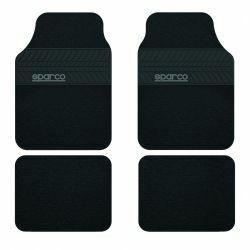 Sparco Corsa rubber car mats. Sparco Corsa fabric car mats in different colors. 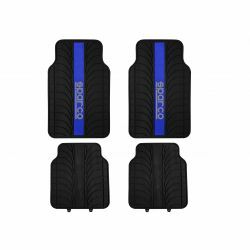 Sparco Corsa rubber car mats with blue logo. Sparco Corsa fabric car mats with tire tread.